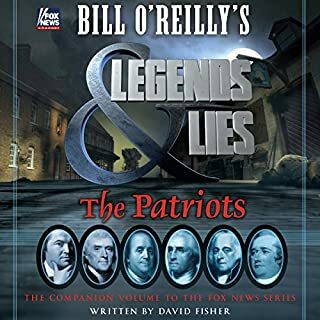 The must-have companion to Bill O'Reilly's historical docudrama Legends and Lies: The Patriots, an exciting and eye-opening look at the Revolutionary War through the lives of its leaders. The American Revolution was neither inevitable nor a unanimous cause. It pitted neighbors against each other as loyalists and colonial rebels faced off for their lives and futures. These were the times that tried men's souls: No one was on stable ground, and few could be trusted. Autumn 1944. World War II is nearly over in Europe, but in the Pacific, American soldiers face an enemy who will not surrender despite a massive and mounting death toll. Meanwhile, in Los Alamos, New Mexico, Dr. J. Robert Oppenheimer and his team of scientists are preparing to test the deadliest weapon known to mankind. Newly inaugurated president Harry Truman faces the most important political decision in history: whether to use that weapon. Packed with fascinating details, this fast-paced narrative will transport listeners back in time. 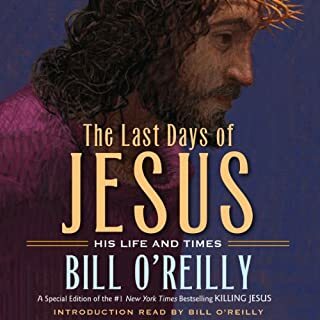 In an exploration of the political and social landscape at the time of Jesus’s life, Bill O’Reilly takes on the questions surrounding his death. Who was involved in the trial and sentencing of Jesus? What circumstances led to his conviction? What were the motivations in killing Jesus? In the same way that the author gave fresh insight into the lives and times of Lincoln and Kennedy, this is an intimate portrait of the Jesus of history. I should have read the small print. When the British fought the young United States during the War of 1812, they knew that taking the mouth of the Mississippi River was the key to crippling their former colony. Capturing the city of New Orleans and stopping trade up the river sounded like a simple task - New Orleans was far away from Washington, out of sight and out of mind for the politicians. What the British didn't count on was the power of General Andrew Jackson. 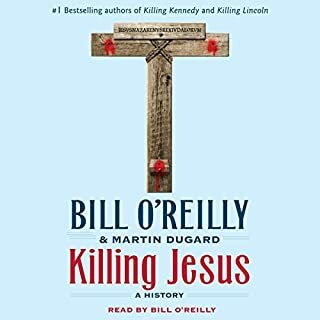 The powerful and riveting new audiobook in the multimillion-selling Killing series by Bill O'Reilly and Martin Dugard. Bill O'Reilly paints an amazing picture. I have never read anything about WW2 that was so vivid. Bill's depiction of the many atrocities that occurred and challenges that each of the prominent figures in history had to come to terms with adds so much clarity to this period in time. My father was a WW2 veteran in the Pacific theatre but he never spoke of the terrible things that he witnessed. When asked, he would just grimace as if to relive the pain that he saw and awaken the pictures embedded in his memory. This book explains so much that was too awful for him to share. I was glad to hear the footnotes- the details add further insight. Thanks again Bill for your dedication to the truth. As a woman, I don't really do war stories or movies. However, due to the excellent reviews on this book and knowing that I was sorely lacking in my knowledge of World War II history, I decided to venture on. Early on in the book, I almost quit due to the gruesome descriptions that are reality in war. I'm glad I didn't. The book filled in gaping holes in my knowledge of WW II. It is an excellent book, the narrator is wonderful, and I highly recommend it. The detail and footnotes are incredible. I understand more fully Truman's toughest decision and how truly tough and patriotic our men who fought this war were...awesome book. I have read a great many books about World War II including books covering the German-Russian part of the conflict, the Western Allies invasion of France in 1944 and the war in the Pacific Theater and am thus very familiar with the major events leading to the defeat of Germany, Italy and Japan. When I buy more books concerning the war I look for something different from what I already know - perhaps something centering on the politics of the war, or perhaps a book on the efforts to successfully complete the Manhattan Project. 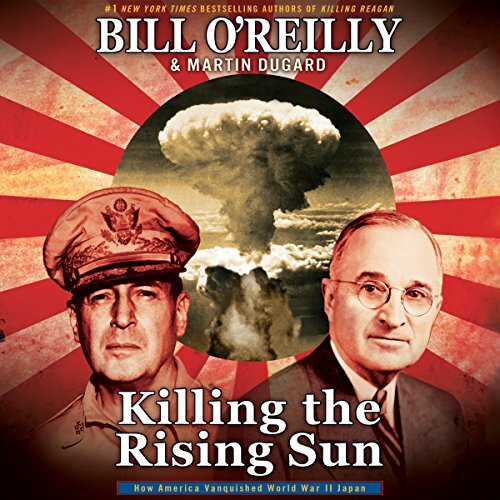 Mr O’Reilly’s book turns out to be a rather light skimming of the last year of the war with some needed concentration on how brutal the war against Japan became and the reasons for that violence, but brings little new information. Perhaps the best parts of this book are the concentrations on the efforts of the Marines to conquer the Pacific Islands, an explanation as to just how difficult those battles were, how little quarter was given by either side to the other and the terrible estimates that those in charge of the invasions made concerning how much effort it would take to conquer places like Peleliu and Iwo Jima as well as a description of just how much suffering the atom bombs caused in Hiroshima and Nagasaki. The latter is especially hard to listen to, but is balanced by details about both the Japanese atrocities in China and against US prisoners of war including the execution of some American POWs after the war against Japan had ended. 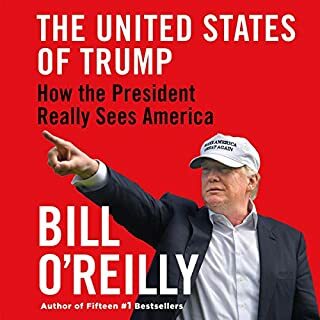 Mr O’Reilly makes a point that the invasion of the Pacific Islands are “unique” in that the troops involved in the invasion had to travel 4000 miles from the US rather than the 20 miles from England to Normandy, but completely ignores the amphibious invasions of North Africa (Operation Torch) where some US troops sailed from the US rather than from England and thus covered a similar distance to the landings. Thus the Pacific Landings were not “unique” in the distances covered. Mr O’Reilly makes a statement that the Japanese attack on Pearl Harbor led to the US declaration of war against Japan and Germany. This is incorrect as the Pearl Harbor attack only led to a US declaration of war against Japan. The US did not declare war on Germany until Germany, 4 days later, declared war on the US. Mr O’Reilly makes the statement that Douglas MacArthur, in this 5 star rank, was the ranking general on both sides of the war. While he did rank above Dwight Eisenhower his date of rank, and thus his seniority, placed him below George Marshall. Aside from the incorrect statements in the book the most annoying thing for me was an omission. 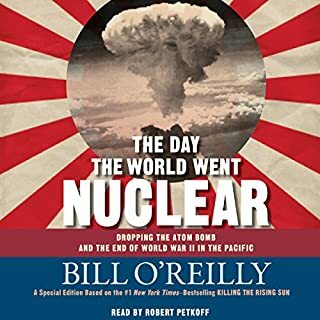 Mr O’Reilly covers the dropping of the atomic bombs on Japan and the subsequent dithering of the Japanese on the subject of surrender and the decision as to whether or not to continue the bombing campaign, but makes no mention of whether there were any more atomic bombs to drop. I have seen several statements that there were, and there were not, additional atomic bombs available and it would have been nice to have had some kind of historic statement in a book concerning whether or not those bombs were actually available. While the book is interesting reading I can only recommend it for those with no prior knowledge of the Pacific Theater in World War II. Whose who have already read about the Pacific war will find little or nothing really new here, however I have no hesitation in recommending it to those not already familiar with the Pacific war. Just understand that this is not a deep look into the war but rather a surface reading of those events. The narration is first class. Couldn't quit listening. What an eye opener. As college history major who's emphasis was WWII, most of this was familiar to me, but the depth of research here was top notch. The writing was both interesting and understandable. Great read, excellent narrator. As gripping as any movie about the war in the Pacific, and 10x as informative. Very interesting piece of history. so told from so many interesting perspectives. i enjoyed this from start to end. 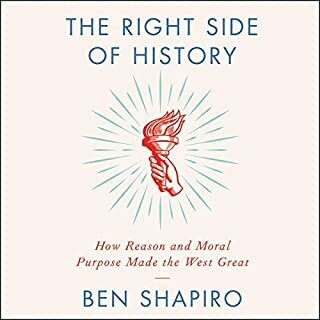 A Must Read for today's high school students as a reality check for the revisionist textbooks being used in public schools today. Rambling, full of irrelevant diversions and inaccurate, Russians invading Manchuria with Tiger Tanks? I don’t think so, very poor overall. Most of this I knew. it was a great refresher. Should be required reading for all PUBLIC schools. The liberal left needs to understand what they are apologizing for. Basically that is survival.